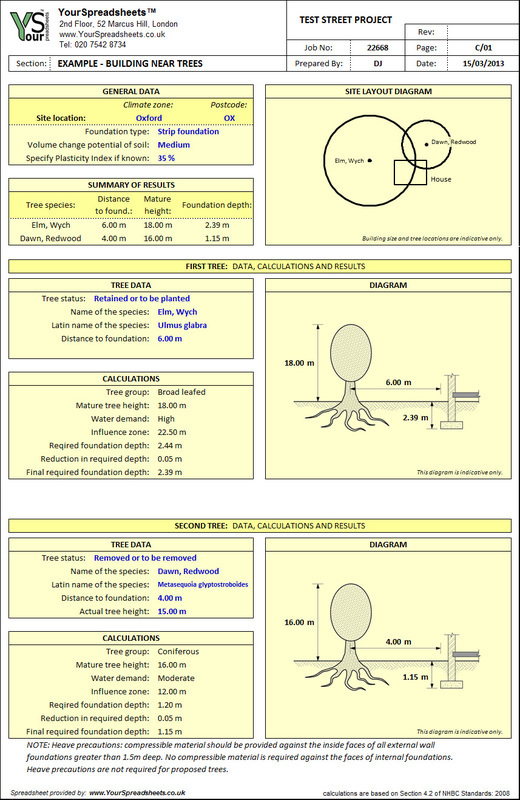 ﻿﻿A very handy spreadsheet to determine required foundation depth when building in cohesive ground (e.g. clay) and near existing or proposed trees. Includes diagrams and site layout for ease of use. Great tool for engineers, contractors and house owners. 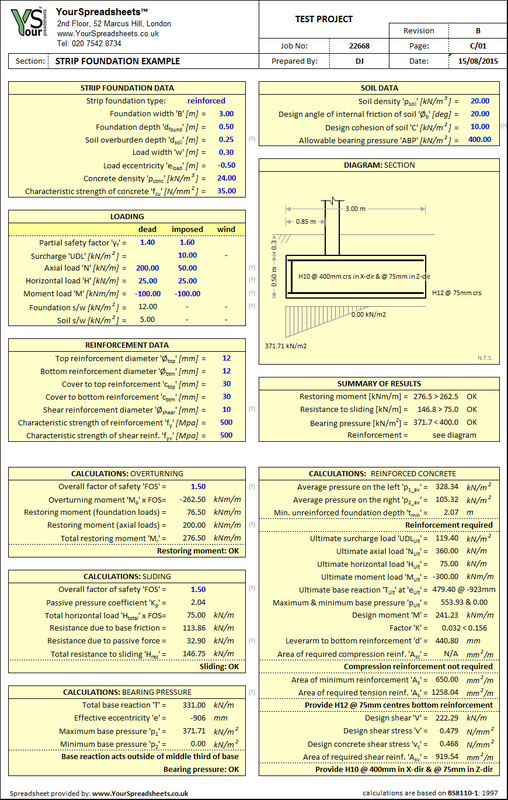 Spreadsheet for designing reinforced and unreinforced concrete strip footing subject to axial, bending moment and horizontal loads. Supported wall can be positioned centrally or eccentrically. The spreadsheet checks uplift, overturning, sliding, bearing pressures, as well as designs reinforcement for bending and shear. Required reinforcement is clearly plotted on a diagram. Spreadsheet to design working platform for tracked plant (e.g. piling platform for piling rig or sheet piling rig/handler). Design with and without geosynthetic reinforcement (geogrid). Two subgrade types considered: cohesive and granular. 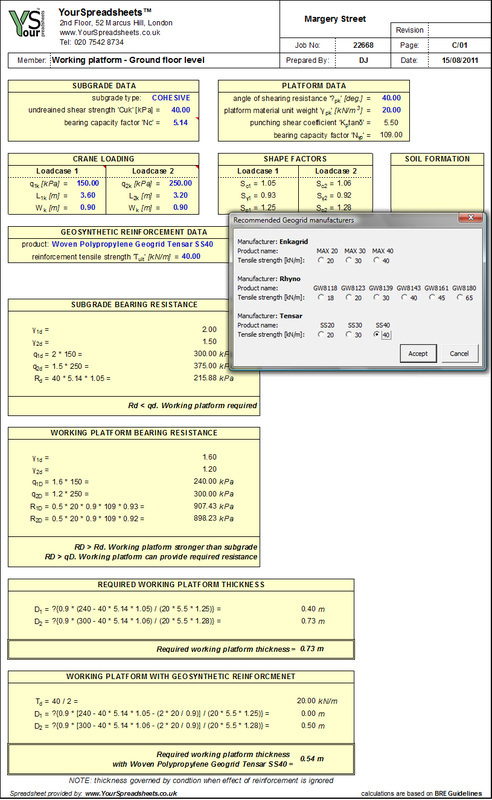 Automatically calculates soil properties.